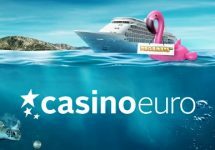 Casino Euro – World Cup 2018 Giveaway | Final Days! 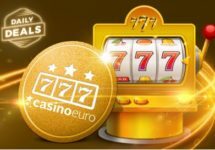 Spin for Free Spins and prizes! Last chances for Free Spins, tech gadgets & trips to the 2018 World Cup in Russia! Do not miss the final days of the Russian Roulette Wheel of Fortune at Casino Euro and login every day until 29th April 2018 and to claim your Free Spin on the Wheel of Fortune for the last three chances to win a share of 5,000 daily Free Spins on Book of Dead, Playstation 4 consoles or an unforgettable World Cup 2018 Experience to watch Sweden vs. Germany in Sochi, Russia. Unlike in real-life Russian Roulette, in this game you don’t want to aim for the blanks. Football, Playstation and Free Spins fans at the ready as your spin could win you one of many great prizes, including a brand new Playstation 4 with a football game, or a free spins treat. 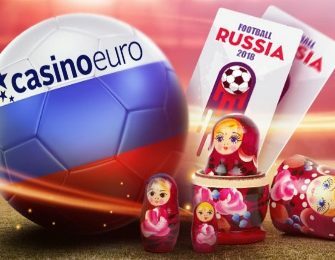 But the one prize to really watch out for is the main prize which will see the lucky winner and a friend jetting off to Russia for this year’s must-see football event. Terms and conditions apply. 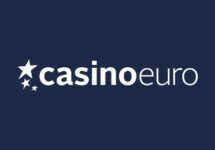 Every day until 29th April 2018, all active players at Casino Euro will be offered upon login one spin per day on the Russian Roulette Wheel of Fortune. 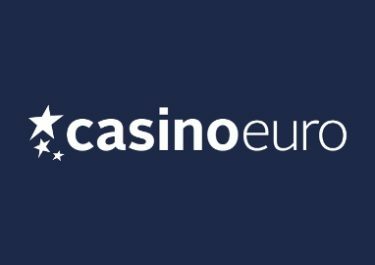 No deposit is required but players must insert the email address they used to register/log in to CasinoEuro to spin the wheel and be eligible for this promotion. Prizes on the wheel are 10 | 20 Free Spins on Book of Dead, Playstation 4 consoles with the latest football game and World Cup 2018 packages. The World Cup package includes: Return flights for two from anywhere in Europe to Sochi, 3 nights at a 4* hotel and two tickets to watch live Sweden vs Germany on 23rd June 2018. There is no cash alternative available for any of the prizes from this campaign.